Engr. 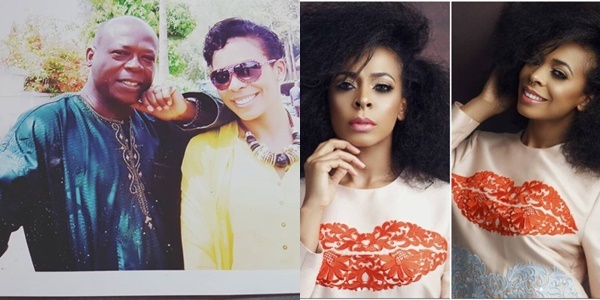 Idowu Vincent has revealed how he spent money ranging in millions on the education of ex-BBNaija housemate, Tboss and her siblings. 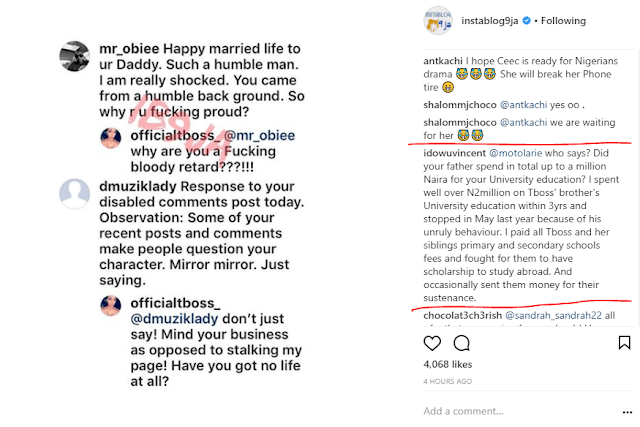 A screenshot was shared by an Instagram blog showing Tboss engaged in a war of words with fans who questioned her behaviour towards her dad. Many fans of hers were dropping comments that didn’t sit well with her father who was prompted to state how responsible he was in her upbringing. ”who says? 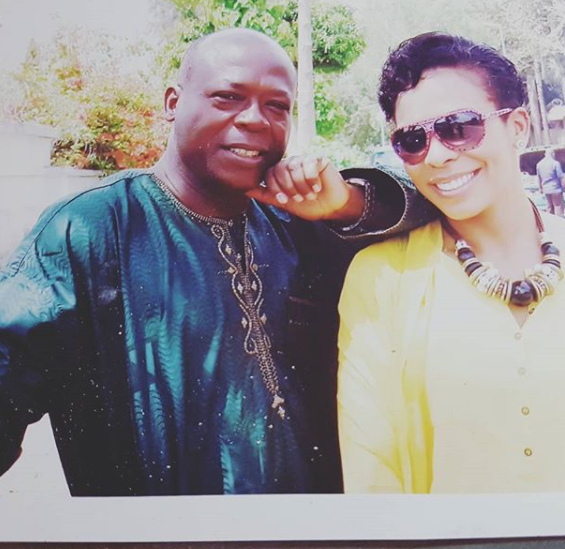 Did your father spend in total up to a million Naira for your University education? 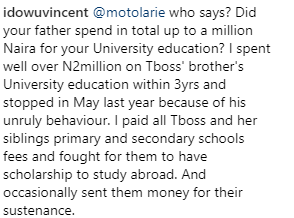 I spent well over N2million on Tboss’ brother’s University education within 3yrs and stopped in May last year because of his unruly behaviour. I paid all Tboss and her siblings primary and secondary schools fees and fought for them to have scholarship to study abroad. And occasionally sent them money for their sustenance”. What is really happening between Peter and Paul Okoye?